The two couldn’t find a schedule that worked, unfortunately. 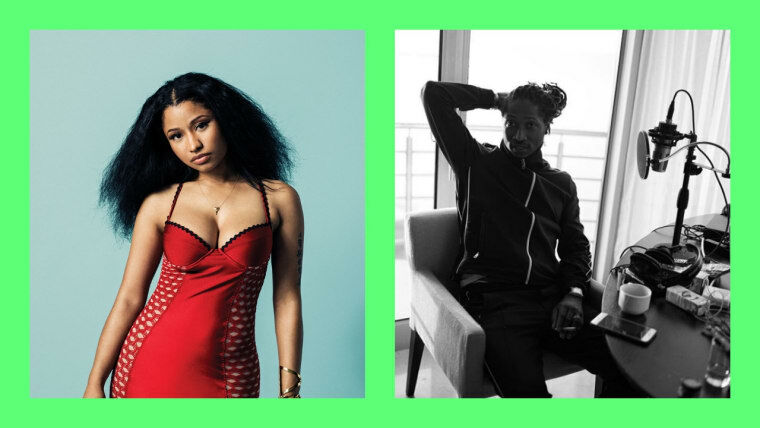 During her interview for Paper Magazine's Break The Internet issue, Nicki Minaj revealed an abandoned project that would have definitely taken the internet by storm: a collaborative mixtape with Atlanta rapper Future. Unfortunately, the two busy artists couldn't find the time for an in-person studio session recently. 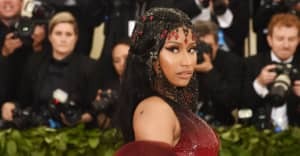 "[W]ith me working on my album and with him doing other projects," Minaj says, "he thought we should be in the same place at one point to really vibe — it was hard, 'cause he was on tour and I was in the studio [and the timing didn't work]." Minaj did not reveal much about her upcoming fourth studio album, other than "it's great and I'm excited about it." Recently she appeared as a featured artist on the remix of Lil Uzi Vert's "The Way Life Goes," and with Cardi B on "Motorsport" by Migos.